Everyone brings their own creativity, artistry, and secret ingredient. But when it comes to chili, Chion Wolf says there is one element that cannot be disputed. 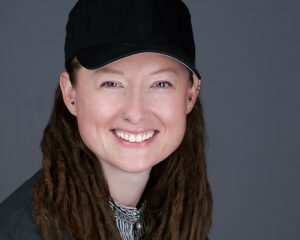 Known as one of the most prominent voices in Connecticut media, NPR’s Chion Wolf is also a chili obsessive and a certified judge in the International Chili Society. Wolf will discuss her experience and fascination with chili and competitive chili cookoffs from 5:30-7 p.m. on Sunday, February 25 in the Davis Gallery of the Mystic Museum of Art at 9 Water Street, Mystic. Wolf’s talk is part of the Museum’s ongoing I Feel Voxish series, in which leaders in culture and ideas talk about their passions. 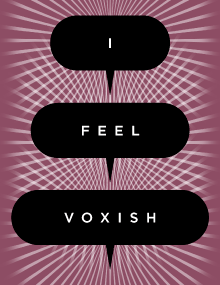 I Feel Voxish is sponsored by The E-List, Cato Corner Farm, and Barley Head Brewery. Wolf said her interest in chili competition stems from her father, Peter Gladis, who competed regularly with his “South Philly Chili-Chili from the Real South.” Attending the cookoffs remain fond memories for Wolf. Now a certified judge, Wolf said she competes at least once a year. This May, she will be competing for the first time at the New England Regional Chili Cookoff in Somers, CT. While there are many cookoffs, Wolf said the “big game” is the ICS World Championships, which changes locations. She considers her experience serving as a judge at the 2011 World Championship in New Hampshire as one of the highlights in her life. In her own approach, Wolf said innovation is important and part of the history of chili, but she thinks most find a combination that suits their tastes and stick with it because when a cook does then they “build tradition in terms of the process and nostalgia when you feed it to your favorite people.” Encountering all this champion chili, does Wolf ever get chili envy? When not cooking chili, Chion Wolf is the technical producer, announcer, and personality with WNPR and The Colin McEnroe Show. She also produces and hosts The Mouth Off, a live storytelling event in Hartford, and Chion Wolf’s Advice Show, a live advice show at Sea Tea Improv. Wolf is an actor and member of the Board of Directors of Night Fall Inc., an annual public performance in Hartford, and founder of Pedal the Medal, an annual 26-mile bike ride that benefits BiCi Co, Hartford’s only bike co-op. Wolf said she is unapologetic about her love of onions.